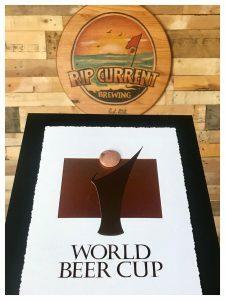 Rip Current Brewing (Rip Current) recently won several awards during the World Beer Cup and the San Diego International Beer Festival and for its German-style bock and pilsner beers. Rip Current’s Breakline Bock won a bronze medal May 3 at the World Beer Cup, a prestigious competition with more than 8,000 entries from 2,515 breweries. Breakline Bock is a German-style dark lager featuring a rich, dark malt flavor—yet, it finishes semi-dry, so it can be consumed by the liter-glass at festivals. This style is one of the most difficult to brew, making it especially significant to achieve a world-class example. Winning entries were blindly judged by a panel of beer experts from 33 countries. Because the competition was worldwide, this means judges considered Breakline Bock to be among the best in the world. 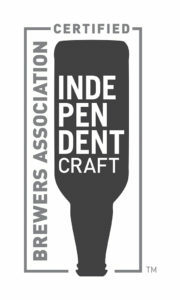 Just a couple days earlier, Rip Current’s Breakline Bock also won a silver award at the San Diego International Beer Festival—which included over 1,500 entries from 260 breweries. During that competition, Rip Current also claimed a gold award for its Delaminator Doppelbock, a doppel (double) sized, higher alcohol-by-volume (ABV) beer that is a more dark-malt-forward version of traditional bock. Lastly, Rip Current won another silver award for its Choppy Surf Czech-style Pilsner, a bohemian pilsner lager with a complex graham cracker-like backbone supporting an herbal hop aroma and flavor. This is the third year in a row that Rip Current has amassed one of the highest medal counts of any brewery at the San Diego International Beer Festival. All of Rip Current’s award-winning beers are available this week at their tasting room in San Marcos at 1325 Grand Avenue, suite #100, and in North Park at 4101 30th Street.